Heavy rain and flooding has caused large scale destruction and displacement in Kenya. The flooding has hit Mandera country and the town of Dadaab, which is one of the world’s largest refugee camps home to over 235,000 people. The camp was initially established in 1991 as Somalian refugees fled civil war, since 2011 a second influx of refugees have fled drought and famine in Somalia. Estimates suggest that at least 750 homes have been swept away in the flooding and 4,500 people displaced. 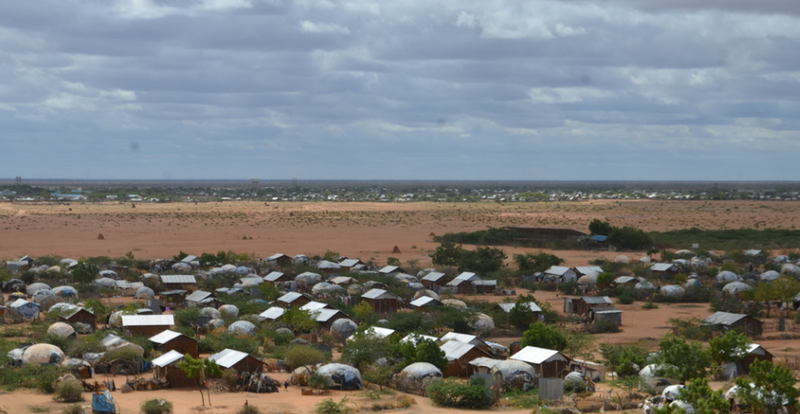 Many of the refugees in Dadaab fled their camp and sheltered in nearby schools. The flooding has also put thousands at risk of contracting waterborne diseases such as cholera. The flooding follows a severe period of drought in Kenya which severely damaged livelihoods, agriculture and livestock across the Horn of Africa, causing food insecurity for 3.4 million. Climate change has worsened the effects of flooding in the area as desertification and deforestation has eroded top soil for crops and trees to grow. Without vegetation to capture soil moisture, heavy rain cannot infiltrate and floods the surface.